Balloon flowers and balloon flower bouquets can be ordered from the Arts & Crafts Center for a unique Mother's Day gift. Choose a single flower or from a variety of balloon flower bouquets. 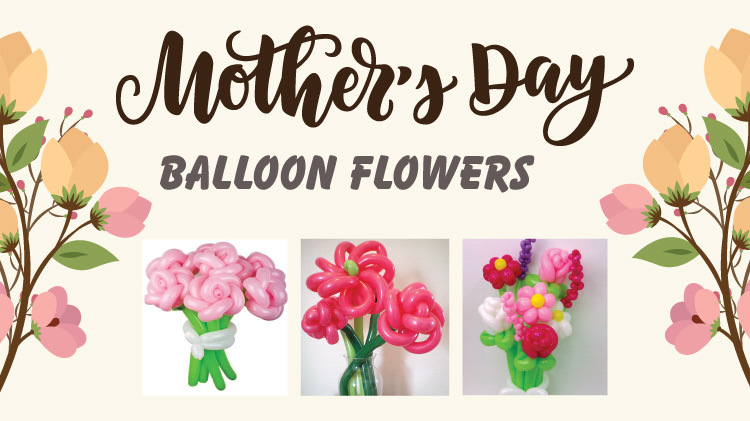 Customers may pre-order balloons/balloon bouquets and have them delivered on Mother's Day Sunday, May 12, 2019. Orders must be placed by May 7 for delivery. Orders placed between May 8-10 must be picked up. Deliveries will be made between 10 a.m. and 2 p.m. and can only be made to housing units on Smith Barracks and Wetzel Kaserne. Deliveries will not be made to schools or offices. Tuesday through Friday 11 a.m.-6 p.m.